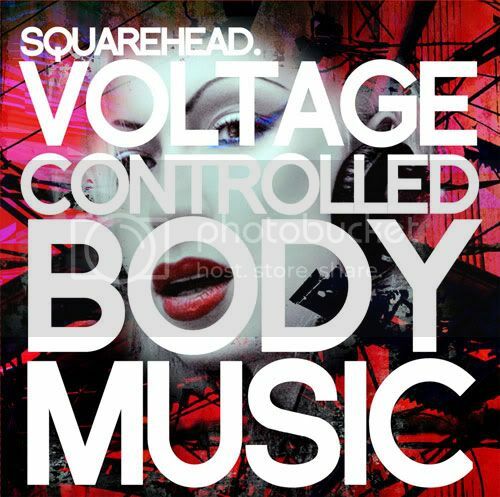 The debut Squarehead album, "Voltage Controlled Body Music" from artist/composer/remixer Sebastian Komor (Icon of Coil, Komor Kommando, Moonitor, etc.) has been slated for release on Tuesday, March 16th, 2010. The album features 15 tracks + 1 bonus song and clocks in at over 93 minutes of music! Additional/Guest vocals on the album come courtesy of Klayton of Celldweller, Zombie Girl and XINA. The epic-length album is listed at $11.99 retail, but is available for $9.99 as an introductory price. You can preview :60 from each of the 16 tracks or Pre-Order the album right now by visiting the official release page on the FiXT Store. You can also listen to a 3 minute Album Preview Mix at the Official Squarehead Myspace Page. at FACTORY [Jacksonville FL] March 20!